If you want to live in Canada, get to know Calgary. This city guide will reveal all the info you need to make an educated decision on where to live in Canada. 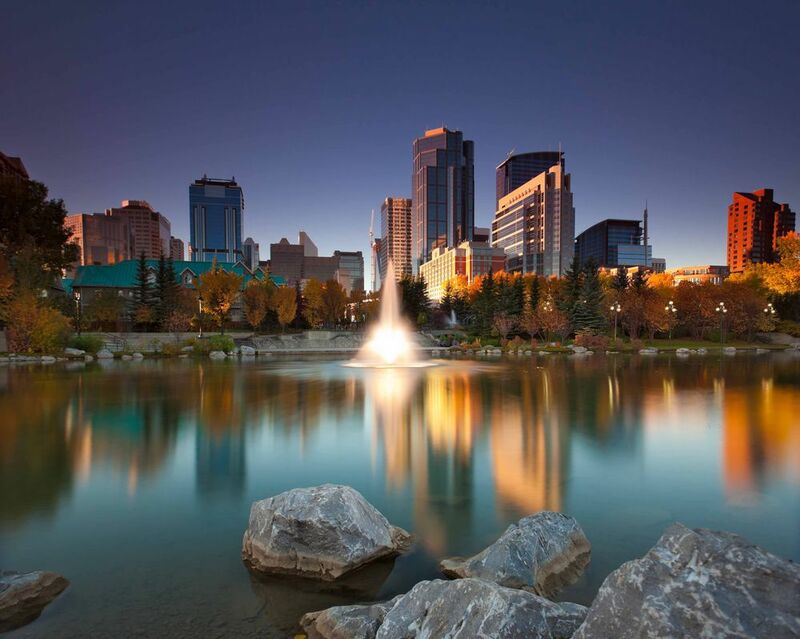 Calgary is located at the southern reaches of Alberta, at the confluence of the Bow River and Elbow River. Calgary is also one of the biggest cities in the province of Alberta and is just 50 miles away from the breathtakingly unique Canadian Rockies. One of the sunniest cities in Canada with over 332 days of sun, Calgary is also known to be a awesome cultural hotspot for artists, performers and musicians. If you live in Calgary, you will experience an ethnic blends of cultures and found in few other places in the world today. From sports to art, architecture and recreation, the city of Calgary is the perfect tourist destination in Canada. Are you planning on having a future in Calgary? Then why not learn a bit more about the city. Discover the community of Calgary, how the public transport system works even about the local public Albertain Healthcare system. If you want to live in Canada, READ MORE HERE! Want to learn some fantastic fun facts about the sunny city of Calgary? Then look no further. Here are our top 10 fun facts you probably didn’t know about Calgary, READ MORE HERE! If you want to make a new life and live in Canada, you have to know how far your budget can stretch. Learn about how much it costs to live in Calgary, if groceries are really cheaper than in other Canadian cities, how much does transportation cost in Calgary and much more. READ MORE HERE! Do you want to live in Canada with your children? Then discover how the Canadian education system works. Is public education really free in Calgary? How much does private education cost in Canada for your child. To find out more about education in Calgary READ MORE HERE! Plan to visit Canada sometime in the future? Then check out our top 10 reason to visit Calgary, Canada. From locally crafted beers, to the Glenbow Museum and nature parks and the yearly event of Calgary Stampede, learn why Calgary is a great tourist destination READ MORE HERE!